Princess Diana tributes left outside Kensington Palace. The former sniper’s estranged wife has informed Scotland Yard she is ­completely sure he is telling the truth. Her total belief in Soldier N emerged as she was interviewed at length at a secret location. She told Yard detectives how the veteran soldier had spoken about the involvement of an SAS hit squad in the car crash that killed Diana and her boyfriend Dodi Fayed on several occasions. Significantly, she said that the sergeant’s ­allegations came while they were on good terms and before their marriage had hit the rocks. One source said: “This was not said to scare or threaten her. It came out when there was no ­marital strife and when they were still friends. Soldier N apparently claimed Diana and Dodi’s driver Henri Paul were blinded by an intense flash of light moments before he lost control of their ­Mercedes. The claim appears to support testimony from an ex-spy at the inquest into Diana and Dodi’s death. The former MI6 agent told the hearing that he was aware of a colleague’s proposal to kill Serbian leader ­Slobodan Milosevic by using a strobe light in a tunnel to distract his driver, causing a crash. And he revealed the existence of a shadowy unit within the SAS known as The Increment which comprises troops from the SAS and SBS for the purposes of carrying out lethal operations on behalf of MI6. Diana, Dodi and driver Paul died when their car smashed into a pillar in the Pont de L’Alma underpass in Paris in August 1997. A bodyguard, Trevor Rees-Jones, was critically injured but survived. Scotland Yard officers are now understood to be preparing to interview Soldier N.
Allegations that the SAS was involved in the deaths were passed to the Yard in July. They were contained in a seven-page letter written by Soldier N’s mother-in-law in September 2011 when her daughter’s 13-year marriage had disintegrated amid claims of his bizarre and threatening behaviour. Last week, Detective Chief Inspector Philip Easton and a Yard colleague travelled to a secret location to interview both women. Mr Easton, who worked on the Yard’s original inquiry into Diana’s death, is believed to have quizzed Soldier N’s estranged wife very closely. The letter was handed to the Yard following the court martial of fellow SAS sniper Danny Nightingale in July. Soldier N and Sgt Nightingale were arrested in 2011 after police raided the house they shared in Hereford where the crack regiment is based. Officers found firearms and ammunition illegally held by both men. Soldier N admitted the offences and last year was sentenced to two years at the Military Corrective Training Centre in Colchester, Essex. His former friend, Nightingale, also admitted the charges and got 18 months when he first appeared at a military court last year. Following a public campaign, he was released and the conviction quashed. However, Sgt Nightingale faced a fresh trial at the military court in Bulford, Wiltshire, in July, when he was found guilty and sentenced to two years suspended for 12 months. The Paris car crash of August 1997 that took the lives of Princess Diana and Dodi Fayed. He was convicted largely on the sworn testimony of Soldier N who was a key prosecution witness. Allegations that the SAS was involved in Diana and Dodi’s deaths emerged soon afterwards. Police insisted the sensational ­information was being analysed as part of a “scoping exercise” and no new investigation has been launched. Dodi’s father, former Harrods owner Mohamed Al Fayed, has not commented publicly on the claims. But it is understood the family would like to see a full-scale investigation into the allegations. 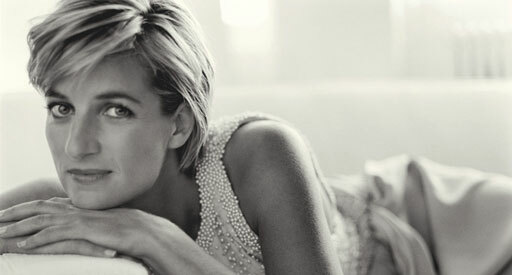 Mr Al Fayed has always maintained that Diana, 36, and Dodi, 42, along with 41-year-old Paul, were killed by the British Establishment which then launched a massive cover-up. Soldier N has now been discharged from the Army. The letter by his mother-in-law listed a series of bizarre and often ­sinister allegations about his behaviour. On one occasion, he is said to have threatened to make his wife “disappear” and allegedly bragged to his in-laws that he had killed women and children. After the Diana allegations first ­surfaced, he was branded a “loose cannon” who could not be believed even though he was a “witness of truth” for the Crown in the Nightingale case. But Army friends have rallied round Soldier N.
The decorated special forces veteran has been welcomed into the SAS Association – the exclusive club for former members of the elite unit – despite his conviction and discharge. Haute couture usually makes you stand out, but Adam Harvey and Johanna Bloomfield imagine a future where it can help you hide. The newest item designed by Harvey, an artist with a background in mechanical engineering, and Bloomfield, a fashion designer, is called OFF Pocket, a metallic-fiber pouch designed to block all wireless signals to your phone. Bloomfield calls it a “privacy accessory.” For the next month, it will sit alongside other examples of counter surveillance chic from Harvey’s company, PRVCM, in a “privacy gift shop” at New York’s New Museum. Harvey and Bloomfield’s first collaborative project, Stealth Wear, a line of futuristic looking street wear that shields the wearer from thermal imaging cameras, debuted this January at the fashion boutique Primitive London. Stealth Wear was more of a “provocation” than a consumer fashion line, Harvey says, designed to make people aware of how invasive thermal imaging could be, and the sort of counter-measures that would be required to block it. OFF Pocket is their most mainstream product so far. At $100, it’s more affordable than the $450 scarf on display at the gift shop (rainbow colored on one side, in the pallet of a thermal image, and heat-signature-masking metallic nylon on the other). Nor is it so unusual looking that it would make you stand out on the street while hiding you from surveillance. “We really envision the OFF Pocket as one of the most commercially available products,” says Bloomfield, imagining future collaborations with stores and artists, like the limited edition silver OFF Pocket on sale at the New Museum. Harvey and Bloomfield hope the Off Pocket’s appeal will go beyond people thinking about leaking classified documents. With lengthy powering off cycles, people are reluctant to turn off their phones, Harvey says, and even if they wanted to, it’s becoming harder to do. In order to cut down on boot-up time, developers are designing phones that keep some of their electronics active even when powered down, a semi-active state that can be exploited for surveillance. Harvey and Bloomfield hope the Off Pocket’s appeal will go beyond people thinking about leaking classified documents. “There are two aspects to the OFF Pocket,” says Bloomfield. “One is privacy and surveillance and the other is to tune off.” The first person to buy an OFF Pocket was a model at PRVCM’s London debut, who walked up to the podium, grabbed the display version, and handed Harvey 100 pounds. “She said that she just didn’t like to be bothered sometimes,” Harvey says. There are a slew of programs that block the internet for people looking for some distraction-free time, but not much for your phone other than the off-button and willpower. Tech writer Evgeny Morozov locks his in a time-release safe when he works. A signal-blocking case might provide a less drastic respite from buzzes and pings and inbox temptation. A military strike on Syria could lead to a nuclear catastrophe if a missile were to hit a reactor containing radioactive uranium, a Russian Foreign Ministry spokesman warned. The remark comes as the US continues to push for a military strike on Syria. “If a warhead, by design or by chance, were to hit the Miniature Neutron Source Reactor (MNSR) near Damascus, the consequences could be catastrophic,” Aleksandr Lukashevich said in a Wednesday statement. Lukashevich stated that the region could be at risk of “contamination by highly enriched uranium and it would no longer be possible to account for nuclear material, its safety and control.” He added that such material could fall into the wrong hands. The IAEA said that it is aware of the statement, but it is waiting for a formal request asking the agency to complete a risk evaluation. “We will consider the questions raised if we receive such a request,” Reuters quoted an IAEA spokesperson as saying. The agency said in a report to member states last week that Syria had declared there was a “small amount of nuclear material” at the MNSR, a type of research reactor usually fuelled by highly enriched uranium. Although this type of a reactor would not contain a lot of nuclear material, it would be enough to cause “a serious local radiation hazard” if the reactor was hit, nuclear expert Mark Hibbs from the Carnegie Endowment for International Peace told Reuters. The United States Senate Foreign Relations Committee voted on Wednesday to approve President Obama’s plan to strike Syria in retaliation against the alleged use of chemical weapons by President Bashar Assad’s regime. Should Congress move to approve the president’s request, the US could soon initiate a limited strike on Syria. On the other hand, Moscow needs convincing proof – not rumors – from UN experts that chemical weapons were used in Syria, Russian President Vladimir Putin said in an interview with AP and Channel 1 on Tuesday. “We believe that at the very least we should wait for the results of the UN inspection commission in Syria,” Putin said. He added that so far there is no information regarding exactly which chemical agent was used in the attack in the Damascus suburb, or who was behind it. More love. More meditation. More service to others. ✎ Bij dit Fund is jonkheer Loudon de opvolger van prins Bernhard, vertegenwoordiger van de kapitaalkrachtige Koninklijke Familie die zich na het Lockheedschandaal moest terugtrekken. Daarvoor onderhield deze Duitse prins intensieve betrekkingen met vele industriële leiders over de gehele wereld. For the New World Order to succeed, these must first be destroyed: the family unit, patriotism, parental authority, our individuality, all national borders, and our morality. Any honest person with a working brain can see that the Entertainment Industry is trying to undermine the morals and values of today's youth.